Attorney Lawrin Crispe has been associated with the firm of Crispe & Crispe since 1972 when he joined his father, A. Luke Crispe, who practiced with the firm from 1934 until his retirement in 1981. Lawrin was born in Brattleboro, Vermont on April 30, 1947 and graduated from American University in 1969. He subsequently earned his law degree from Memphis State University School of Law in 1972. Lawrin has focused his practice primarily to Personal Injury Law as well as General Litigation, Business Law, and Commercial and Residential Real Estate Development. In addition, he frequently serves as a mediator in a wide variety of disputes. 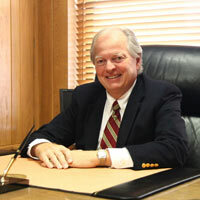 He is the senior attorney at Crispe & Crispe with nearly 40 years of experience. Lawrin holds the highest rating afforded by the most widely respected rating service – Martindale Hubbell. He is active in many public and private community organizations including the Grace Cottage Hospital. With a keen interest in international affairs he has been instrumental in successfully constructing and maintaining a modern library in Accra, Ghana. Lawrin is admitted to practice before all Vermont State Courts and the United States District Court for the District of Vermont and the United States Circuit Court of Appeals. 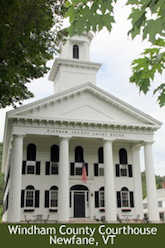 He is a member of the Vermont Trial Lawyers Association and the Vermont Bar Associations. 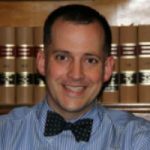 Brattleboro attorney Spencer P. Crispe is the most recent addition to Crispe and Crispe law firm and is the 4th generation in his family to practice law in Brattleboro. He graduated from Brattleboro Union High School in 1997, the University of Vermont with a Bachelor of Arts in History in 2001, and the Vermont Law School in 2004. Spencer is a 9th generation Vermonter, an avid sugarmaker, hiker, skier, and skateboarder. He lives in Brattleboro, and serves on numerous boards and committees. He has volunteered at a youth center for over ten years, volunteered at the Boys and Girls Club in Brattleboro, is a member of the Wilmington, Vermont Trails Committee, and served other outdoor recreational organizations in Windham County. His areas of focus include Personal Injury and Auto Accidents, Employment Law, Workers Compensation, Land Use and Environmental Law, Landlord/tenant, and Ancient Roads. Spencer has a strong commitment to social justice and civil rights. Spencer is admitted to practice before all Vermont State Courts and the United States District Court for the District of Vermont. He is a member of the Vermont Trial Lawyers Association and the Vermont Bar Associations. Office Manager Jo-Anne Daris is the newest addition to Crispe and Crispe. 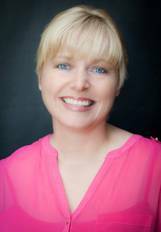 Having earned her Paralegal Certificate in 2001, Jo-Anne has a vast range of experience. However, with over 15 years of experience, her passion is Personal Injury. Jo-Anne works closely with the attorneys and clients from the beginning of the case through trial. Jo-Anne has been the co-leader of her daughter’s Girl Scout Troop for the last three years and recently took on the role of Community Accounting Coordinator. She enjoys hiking and backpacking with her family and playing a popular dog sport called Flyball.